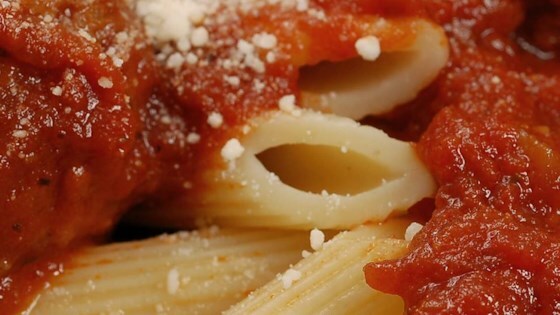 "Easy and yummy tomato sauce with few ingredients. Tasty." This was just what I was looking for. Very good sauce, and easy to adapt to a variety of uses. I thought it was just a bit too oily - would reduce oil by at least 1 tablespoon next time. This is a great recipe that is easy in a pinch. I added fresh garlic with the onions and then put in some fresh basil with the tomatos. My 2 year old son and husband loved it!